Coming to a hospital near you! treat them allow the the other organisms to proliferate. give these deadly infections to the patients in the first place. infections to anyone and often lie about them to the patients and their families. Iraq but much of it is. Ask to have the strain identified. This will be very important if you need to litigate. conditions in the hospital systems. YES, Acinetobacter baumannii can kill you. YES, Acinetobacter baumannii is contagious. immunocomprised to become infected though it does increase the morbidity rate. Acinetobacter baumannii lives for up to 90 days on both wet and dry surfaces. the cleaning cart which goes from room to room, the possibilities are endless. Acinetobacter baumannii CAN be passed to family members. most often resulting in a death. have died after becoming infected with a common bacteria, the hospital said today. statement issued two days later. Warren, who now has the Ohio Infectious Disease Blog. disoriented and in alarming pain. Seventeen days after the surgery, the 67-year-old nurse was dead. of septicemia caused by the bacterium Pseudomonas aeruginosa. 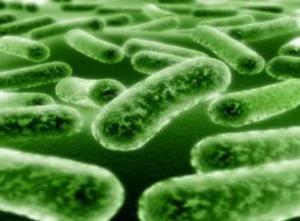 bacteria was known to be resistant to multiple kinds of antibiotics. which is prevalent in our military and civilian hospitals. polyester coats for up to 56 days. More than 300 scientific documents have been reviewed by Army censors to date. this year that denial rate has nearly tripled to 17 percent. altered at the behest of censors. are the service members it was ostensibly designed to protect," he contends. to U.S. soldiers as Iraqibacter. help the wounded who must deal with this. impact on the healing and recovery of TBI Traumatic Brain Injury patients? resistant infections running rampant at Walter Reed Army Medical Center. important to Florida and our nation. people and you just don't care. when he was seriously injured in an attack by a suicide bomber. the majority cases, the infection was found to have been a contributory factor. patients with the bacterium acinetobacter baumannii known as MRAB. returning from the Iraq War. Australia, while on holiday in Egypt. months in intensive care units in Cairo, Paris and Singapore. This is a very large reported outbreak for one hospital. We have been warning of an outbreak in this area. here all the time !! takes hold in hospitals, the country could face a pandemic. kills 49 year old woman in Lousianna. Second patient on same floor dies from the same. every drug available and it was resistant to every one. the country -- and the only one on the West Coast. simply. "Incompetence, the level of incompetence was very high at the facility." first doctor was a student from Stanford specializing in orthopedics," she said. has opened and pus is coming from it?'" Swedish Medical Center in Seattle. of the soldiers with a wink. and in domestic military hospitals. happened around me is just like 'yeah, they're going after you.'" excuse for them to be put in this position. and man the medical facilities. could inadvertently be spread to civilian patients. country, said a senior Public Health Agency of Canada official. and the toll it has taken on our casualties. keeping the lid on their problem. Infectious Disease Protocal was not followed. Family members were not told how contagious it was..
treated casualties from 40 countries. and VRE and didn't make it to the transplant. military medical system. The entire military health system has been infected. routinely transit between facilities and patients without a change of clothes. Iraq War to these organisms? original reason for entering the hospital. MRSA, Acinetobacter baumannii, C. difficile, etc. but ignored on the national level. baumannii. It was determined that the bacteria were acquired from a patient at work. She succumbed to the infection quickly and with no fan fare. The story went silent. story is known is that his civilian girl friend speaks up for him. what he had seen on a visit to Walter Reed. hospitals and community hospitals also. As long as it doesn't have to be reported it will not be. You're on your own America, until you say enough is enough. Acinetobacter baumannii with 350 colonized soldiers as well as 200 infections. By August 2005 Forbes reported that at least 280 cases of infection had been reported. The DOD stodgily stood by public statements of 112 infections. directive at MEDCOM stating they do not want to expose military vulnerabilities publicly. are carriers. Spreading this infection from one hospital to another in America. Germany, Bethesda MD, and finally JHMC. This was head, chest, and abdomen trauma. colonized cases that contaminate that facility. The three soldiers were first taken to a U.S. military hospital in Landstuhl, Germany. When they left a week later, all three men were infected with drug-resistant bacteria. "It's thought that they may have gotten it from going through the hospital in Landstuhl,"
said Lt.-Col. Henry Flaman, a Canadian military doctor in Edmonton. among American troops wounded in Iraq. wounds in the battlefield, the superbug can cause serious damage. whom contracted the illness while in U.S. military hospitals. at the time they did these interviews. 45 patients: 29 OIF/OEF casualties, 16 non-OIF/OEF. till November 2004 to recognize it after the CDC posted the findings of the 102 cases. you will currently find at www.acinetobacter.org is our stolen site. at U.S. hospitals caught public health officials off guard. rare, with declining infection rates. procedures, promoted on paper, were widely ignored in clinical practice. Now it is invading nursing homes. 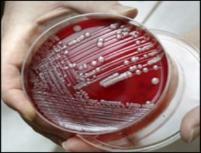 Acinetobacter infections do not kill.